Here at Indie Obscura, we love books and aren't ashamed to admit it. While there have been several book-to-game adaptations over the years, very few have been indie titles and fewer still have done their literary counterparts justice. A good example of this are the slew of Harry Potter games that have come out over the years. We may not have a problem playing as protagonist Harry Potter, but what if we wanted to play as ourselves? Furthermore, what if we wanted to explore the book world in a vastly different way where we can actually live these tales? Below, we've listed seven books or book series that we'd love to play as video games! What child of the late 1990s didn't desperately hope to receive a letter from Hogwarts School of Witchcraft and Wizardry? We had our thirsts for experiencing the wizarding realm satiated when Orlando Studios created the Wizarding World of Harry Potter. 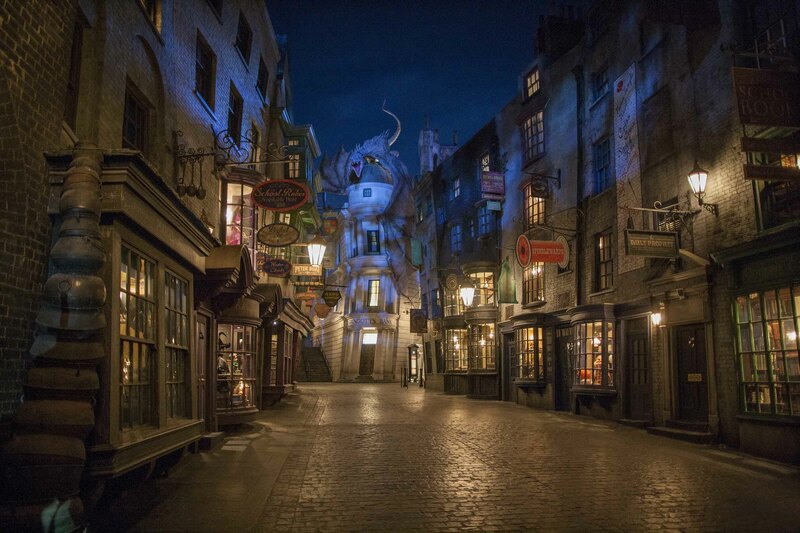 This real-life replica of Diagon Alley is a magical adventure where you can purchase your wand and drink some delicious Butterbeer. J.K. Rowling's Pottermore also tried to create an interactive experience and will sort you into a house and pair you with your own wand. However... we're greedy and we simply want more. Imagine an open-world Harry Potter game modeled in the style of Skyrim where you can create your very own witch or wizard and explore the Harry Potter universe without restriction. After designing your character, you'll receive your Hogwarts letter from a beautiful snowy owl like Hedwig and be whisked away to Diagon Alley to prepare for your year at Hogwarts. Once you arrive at Hogwarts and are sorted into your house, the world is open and yours to explore. We're not game designers, but we're pretty sure there's a huge Harry Potter fanbase that has been dying to attend Hogwarts for well over a decade. Us? We're already in our Ravenclaw robes ready to go!